Wholesale Trader of a wide range of products which include mild steel heavy storage racks, heavy duty storage racks and boltless shelving. 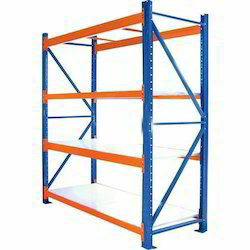 Our company has established itself as a leading name of superior quality Mild steel Heavy Storage Racks in the market at the present scenario. These are made available to the customers at industry leading rates and are provided as per the set industry norms and protocols as well. These are designed to fit easily in the corners and can withstand huge loads. We understand that an impressive display plays a very important role in the world of buying and selling. These are easily divided in proper sections and divisions. 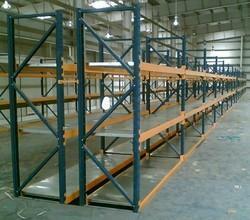 Our company has established itself as a leading name of superior quality Heavy Duty Storage Racks in the market at the present scenario. These are made available to the customers at industry leading rates and are provided as per the set industry norms and protocols as well. These are designed to fit easily in the corners and can withstand huge loads. We understand that an impressive display plays a very important role in the world of buying and selling. These are easily divided in proper sections and divisions. We are one of the prominent names to offer a wide array of Boltless shelving that is highly appreciated and demanded by our clients. 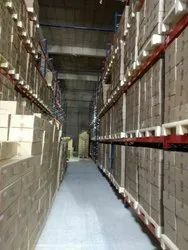 It is used for storing and keeping goods in an organized manner, in addition, this rack is highly customizable and has excellent load bearing strength.